From learning how to capsule wardrobe your way into sartorial happiness to adopting the best rules of minimalistic fashion, we're always thinking about how less can be more. It's all too easy to get sidetracked by loud, shouty style moments that blow up on the runways, but if you'd like to think of yourself as a more subtle dresser, there is a select tribe worth checking out that remains loyal to the most pared-back colour palettes, classic items and simple outfits. 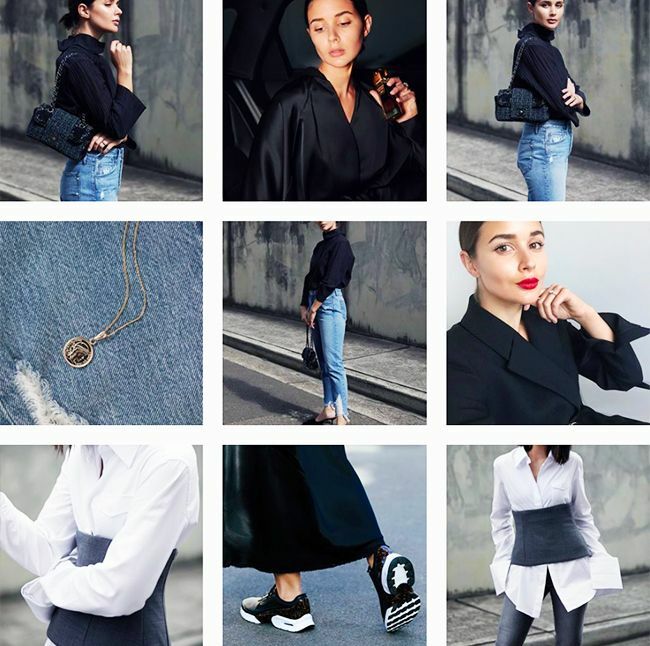 The dedicated women in question are the minimal fashion Instagrammers we always lean on for easy, approachable inspo: They never fail to look good in jeans and a white T-shirt or persuade you into thinking that a Little Black Dress still is all that. Their concise, match-matchy closets are curated as a lifelong project rather than a revolving door for trends to whizz in and out of. So no, these ladies are not #basic, they're just brilliant at making minimal fashion look exciting. 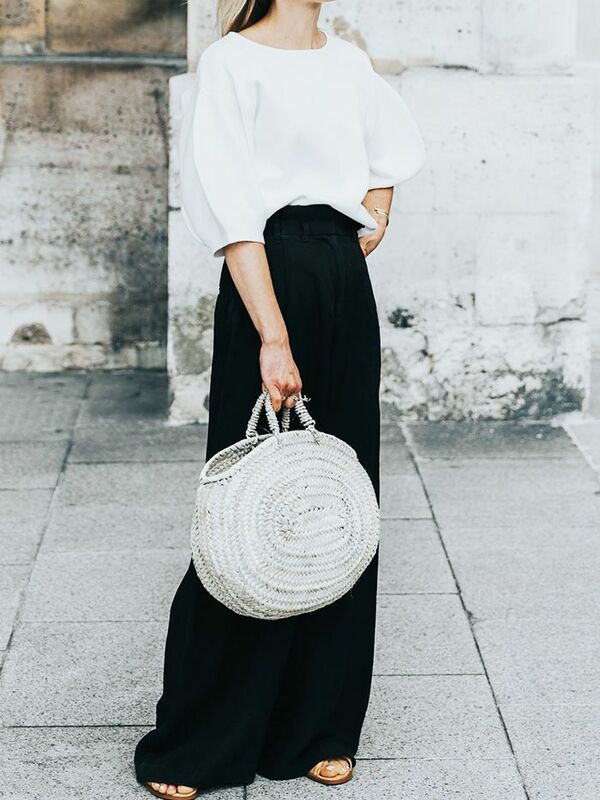 Keep reading to see the Instagram accounts you should follow now, and carry on to shop a few of our favourite pared-back pieces. Style Notes: Harper and Harley's Sara Donaldson is an Australian minimalist with a penchant for anything with a good sleeve on it. Her slick looks are particularly good for anyone who needs a smart working wardrobe. Style Notes: With her shock of peroxide hair and glossy armoury of accessories, New York–based Michaela always manages to make the slouchiest of outfits come together. Style Notes: Blair's colour palette never veers away from white, grey and black, making all her slinky separates and sporty accessories work together in hundreds of different iterations. Style Notes: Australian blogger Kaitlyn, of Modern Legacy, has been a firm favourite on the minimal fashion circuit for some time—she isn't afraid to inject an unexpected print or styling trick here and there, making ultra-plain outfits seem rather intriguing. Style Notes: Los Angeles–born, Munich-based Mirjam is the kind of girl we all want to be—especially on the weekend in a simple pair of jeans with a loose-fitting tee and a fedora on top. She errs on the rock-chic side of minimal. Style Notes: For some time, this Netherlands-based influencer only wore white, but these days you'll find plenty of interesting denim and greyscale action sitting alongside her unusual shoe choices and adventurous layering. Style Notes: Ann Kim, of Andy Heart, is a Los Angeles native who makes this minimal thing look so easy with her array of versatile black clothes and super-comfy flats. Style Notes: Not strictly always in grey layers despite the name of this blog, Jeanne's adventures in exaggerated silhouettes and patterns usually do arrive in black and white form. Style Notes: Another Los Angeles fashion girl with a keen eye for the uber-minimal, Amee puts together the kind of beautifully basic ensembles that you'd maybe overlook—sometimes a black biker jacket, black jeans and a black top can be effective. Style Notes: This London blogger has a more feminine take on the aesthetic, picking out pretty, monochrome dresses that stand up alone or elegant heels to set against her other more casual attire. Style Notes: Amanda is one of the industry's leading influencer forces, and her directional approach to dressing simply—think a muted colour palette but intricate layering and extreme cuts—means this list wouldn't be complete without her. Style Notes: Sydney-based Petra brings a grunge tone to the minimalism table—if you're ever looking for a new way to wear that old tee, she's your girl. Metal detailing is still de rigueur in minimal circles. What every old pair of jeans needs. When in doubt, turn to Mango. No one will guess that this is a high-street steal. Look after them, and they'll last a lifetime. It's the shirt all the street style girls are after. These will look great with sneakers. Minimal doesn't have to mean a ban on prints. Next up, the A/W 17 trend report you need to read.